This week, Louis wins an award, and Jessica wants everyone to know. S3E10 "The Best of Orlando"
Jessica is very excited that Louis has won an award, and she tells everyone about it. Evan has some great lines here, especially when his test goes from the fridge to the garbage. However, when Louis gives his speech, he leaves her out when thanking people. He gets a chance to fix this, by going on Good Morning Orlando, but breaking news interrupts him right as he is about to thank Jessica. I'm glad that the writers went this direction with this, instead of having him forget again. Jessica sends a message to Louis through Marvin, a neutral face of displeasure, which I really enjoyed. Louis recruits Evan to help him, which I totally loved. 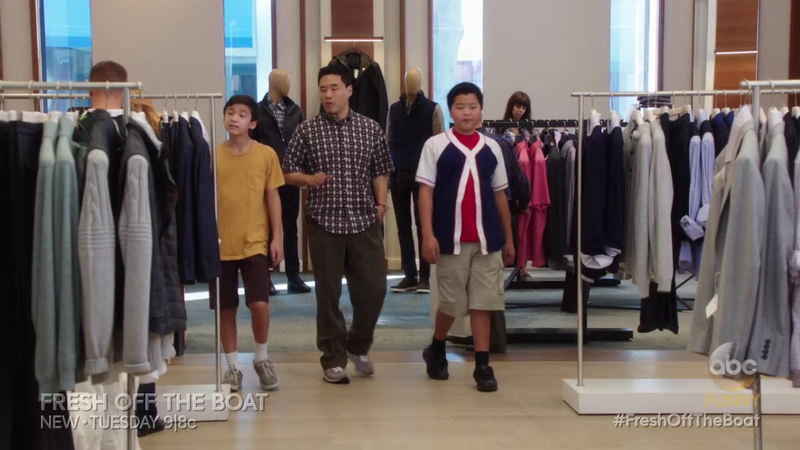 Emery and Eddie sell knock-off jeans, working with Grandma Huang. It is very funny when they show how quickly she goes through the blow-pops. However, the jeans go from cool to uncool when the principal starts wearing them. This was a funny way to have this go wrong. Evan had few moments tonight, but they were good ones. What did you think of "The Best of Orlando"? Leave your thoughts in the comments!